Why Hire Rayano & Garabedian, P.C.? Our firm is founded on essential values that have helped many clients in the Central Islip and Sag Harbor areas. No matter what legal matter you are currently trying to handle, our firm has the characteristics that are needed to bring about effective results. Retain our compassionate and knowledgeable legal team to be your steadfast ally during this time. Rayano & Garabedian, P.C. 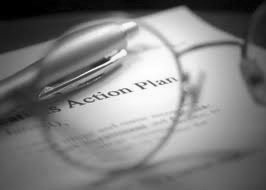 is the professional law firm that you can trust to handle some of your life's greatest, most confidential legal matters. Not only do we understand the importance of protecting your best interests but we also know how to represent you in a way that limits your legal exposure. You don't want to have an attorney who simply relies on his or her reputation, however. Reputation won't get results, nor can it guarantee satisfaction. Our firm strives day after day to represent our clients effectively in every way possible. In addition to providing counsel from our divorce lawyer in Central Islip, our legal team represents clients involved in other types of cases in surrounding areas, including Sag Harbor. Few things give us a greater sense of accomplishment than settling, mediating, or litigating a case to a successful conclusion. Our proven record of achievement serves as a testament to our consistent demonstration of client dedication, winning representation, and extensive legal knowledge. 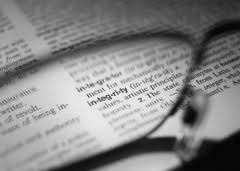 At Rayano & Garabedian, P.C., we rely on our steely determination, integrity, and hard work. We know that one of the greatest elements of success is thorough preparation. Although results are never guaranteed, the extent of our experience makes it hard to catch our firm off guard. If you want to be represented by a law firm that is comprised of some of the most professional, committed, and devoted lawyers in the Central Islip and Sag Harbor areas, choose our firm. Contact Rayano & Garabedian, P.C. for your free, initial case evaluation over the phone.